If you open the browser console you'll see that the culprit are imgur links. What is the state of HTTPS support? A previous question shows we can switch to HTTPS for imgur links. Set the https scheme for all imgur links served by SE sites; e.g. the links to the user's profile. Set the https scheme for the link created when pasting images. 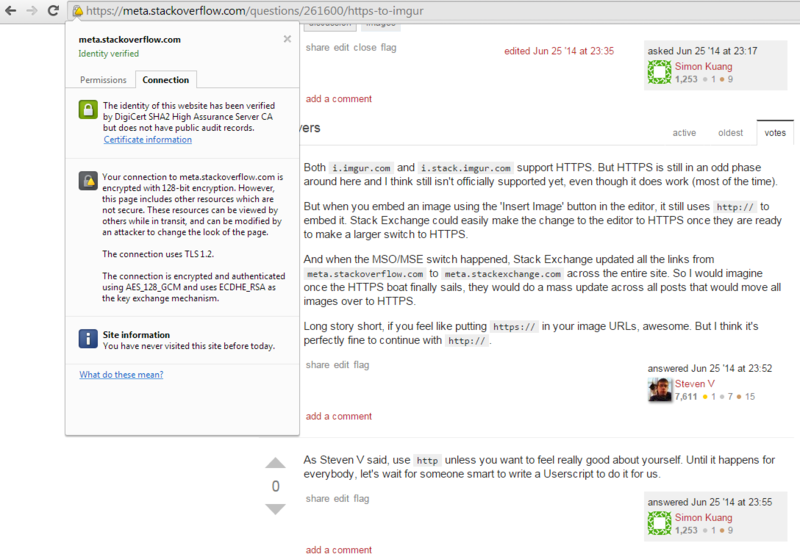 Browse other questions tagged feature-request images ssl .